Call it a case of the Tuesdays. Wall Street notched a seventh consecutive positive Tuesday as investors cheered upbeat earnings and gobbled up shares of beaten-down Internet stocks. The Dow Jones industrial average and S&P 500 ended solidly higher, while the Nasdaq finished up 0.72%. 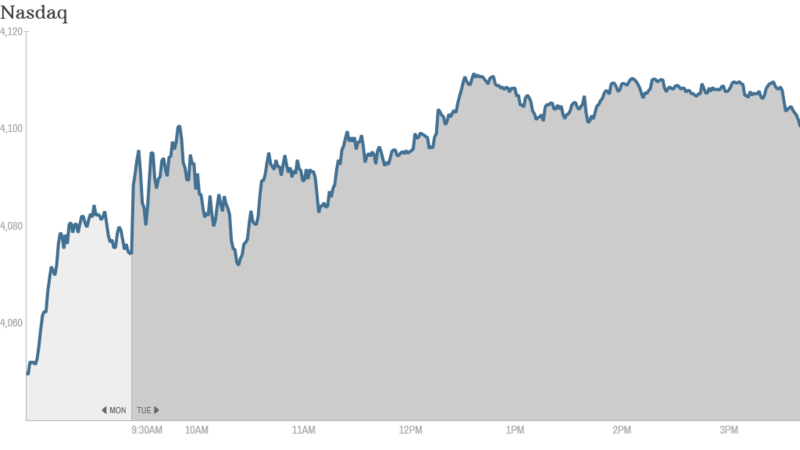 U.S. stocks ended mostly higher on Monday after a roller coaster day. April has been a tough month overall, with the Nasdaq taking a sharp dive as investors soured on many tech and bio tech stocks. The S&P and Dow are up for the month, but only barely. Despite rocky trading in recent week, the Tuesday win streak has held. The S&P 500 has returned around 9% year-to-date on Tuesdays, rallying on all but two Tuesdays in 2014, according to David Lutz, managing director at Stifel Nicolaus. Whether or not this week's rally continues will depend upon the Federal Reserve, which is set to wrap up a two-day policy meeting on Wednesday. The central bank is likely to dial back its bond buying program by another $10 billion in a bid to wean Wall Street off its easy money policies. One strategist said it was a good sign that investors are taking the end of quantitative easing in stride. "I find it encouraging that despite this shift away from QE, markets are close to unchanged on the year. This has been no small feat," Peter Kenny, CEO of financial technology firm The Clear Pool Group, wrote in a note to clients. Investors bid up shares of social media companies today, many of which had been hammered in recent weeks amid valuation concerns. Twitter (TWTR) soared almost 5% during regular trading, but that rally may have been premature. After the bell, the micro blogging company retreated 7% on disappointing guidance. The cautious outlook overshadowed stronger than expected adjusted earnings and revenue. "$TWTR - Just a thought, but buying a battered stock with high expectations into earnings? Nah. I'm not doing that," said StockTwits user andrethesmith. Other Internet stocks that enjoyed a bounce included LinkedIn (LNKD), Facebook (FB) and Weibo (WB), China's version of Twitter. Earnings from e-commerce giant eBay (EBAY) are also came in after the closing bell. EBay largely beat estimates, although its stock was also down slightly in after hours trading. When it comes to so-called momentum stocks, investors want to see huge wins, not just modest victories. Corporate earnings reports continue to roll in for many industries. Sprint (S) popped 11% as investors cheered a narrower than expected loss and strong sales. Shares of BP (BP) nudged over 2% higher after the oil and gas firm hiked its dividend. But Coach (COH) dropped 9% after the luxury handbag company reported weaker sales, even as it beat on profits. One trader said that Coach continues to face pressure from rivals Michael Kors (KORS) and Kate Spade (KATE). "$COH tanking sales blamed on competition from $KORS & $KATE. Perhaps, but may also reflect weakness of mass-affluent discretionary spending," said StockTwits user mohannadaama. Herbalife (HLF) enjoyed a 2% bump after logging stronger than expected profits and sales and announcing plans to scrap its dividend in favor of more stock buybacks. The company is the subject of several government investigations into its business practices. Shares of Nokia (NOK) rose 6% after the tech company announced a new CEO and plans to spend billions on dividends and share buybacks. Nokia has just finalized the sale of its handset division to Microsoft (MSFT), allowing it to focus on its networks business. 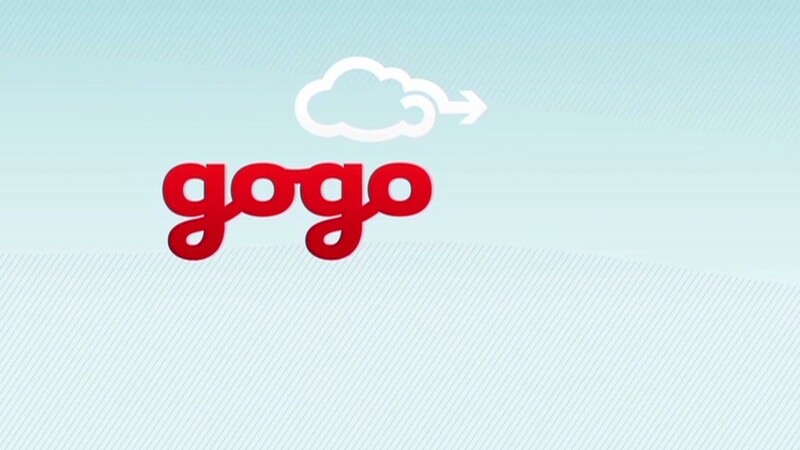 Inflight Internet provider Gogo (GOGO) tumbled nearly 30% after AT&T (T) revealed plans to launch a competing service for airplane Wifi. "$GOGO If u own Gogo only decision today is whether to take a Valium or Xanax as day progresses," StockTwits user MYBOYFRESH said. European markets closed more than 1% higher. Russian stocks rose and the ruble firmed against the dollar as investors shrugged off the latest round of U.S. and EU sanctions imposed this week over the crisis in Ukraine. The sanctions weren't as severe as expected. The British pound pushed higher, trading at its highest level against the U.S. dollar since August 2009, as GDP data showed U.K. growth accelerated to 0.8% in the first quarter. Asian markets closed mixed. The two major indexes in China logged gains, while Japan's Nikkei declined by 1%.